SEE INSTRUCTION – START YOUR OWN FREE BITCOIN SHOP IN 10 MINUTES – Bitcoin/Paypal Payments in WordPress/WooCommerce. No Chargebacks, Global, Secure. All in automatic mode. White Label Solution with Your Logo (see Demo) – user browser receive payment data from your server/website only; your server receive data from our server. Automatic installation is the easiest option as WordPress handles the file transfers itself and you don’t need to leave your web browser. To do an automatic install of GoUrl Bitcoin/Altcoin Gateway for WooCommerce, log in to your WordPress dashboard, navigate to the Plugins menu and click Add New. In the search field type “GoUrl WooCommerce” and click Search Plugins. Once you’ve found our plugin you can view details about it such as the the rating and description. Most importantly, of course, you can install it by simply clicking Install Now. it works as a charm. Easiest way to show live product prices in bitcoin and euro on your website and accept payments, we are using this plugin for one year without any problems. Probably the best Bitcoin plugin for WooCommerce Highly recommended. Probably the best Bitcoin plugin for WooCommerce Highly recommended. Very good plugin using over 3 months! Recommend all I tried with another plugins like this but have been issues So I highly recommend who need get payments from btc! I give five star because it is rally fantastic plugin. it does exactly what t describe. no wonder its a really good. “GoUrl WooCommerce – Bitcoin Altcoin Payment Gateway Addon” is open source software. The following people have contributed to this plugin. 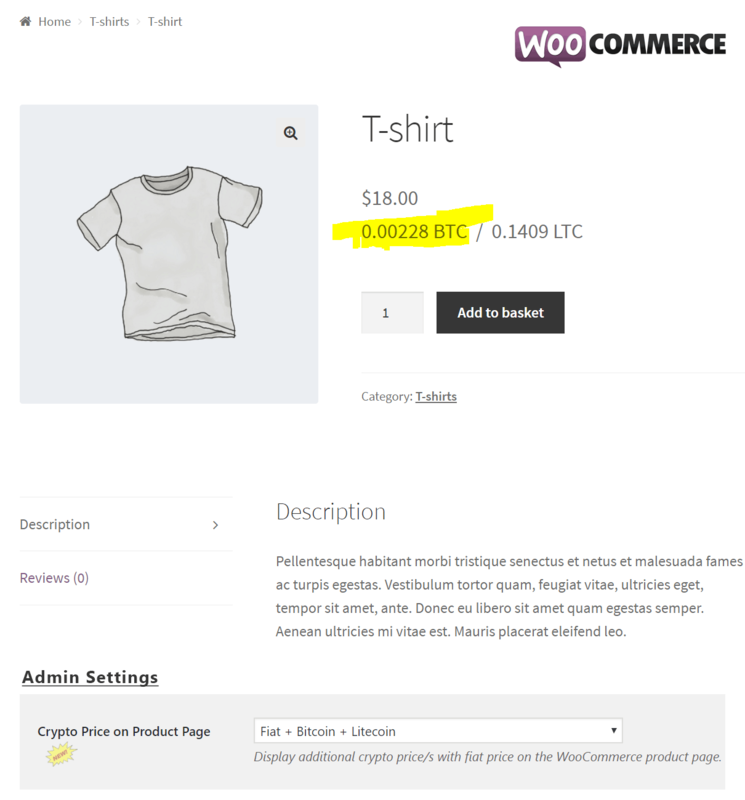 Translate “GoUrl WooCommerce – Bitcoin Altcoin Payment Gateway Addon” into your language. Standard Way – Product prices in USD/EUR/GBP/etc and use GoUrl Bitcoin/Altcoin Gateway together with paypal/credit card gateways. You set product prices in USD/EUR/etc in the admin panel, and display those prices in Bitcoins for front-end users. You set product prices in Bitcoin/Altcoin directly.